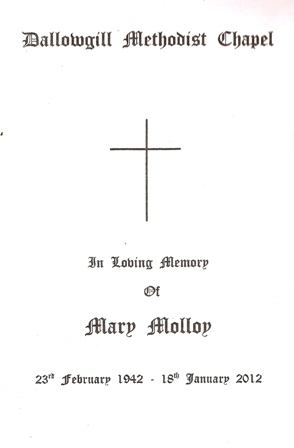 In Loving Memory of a dear Wife, Mother and Grandmother Kathleen Mary Molloy. 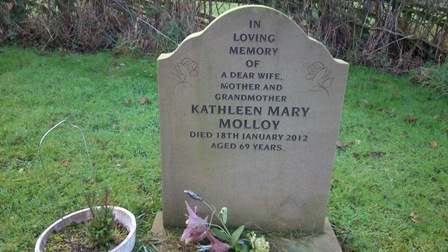 Died 18th January 2012. 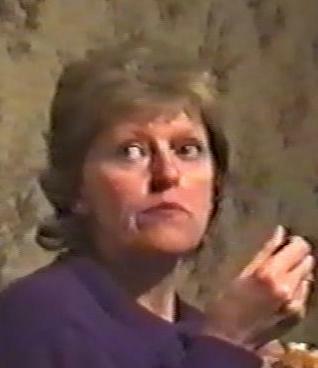 Aged 69 years.